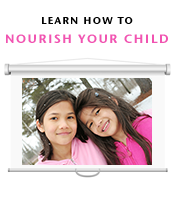 This is the class that will teach us all how to nourish ourselves and our children efficiently! Pressure cooker – read our updated perspective on this modern tool! Vitamix blender – see a sneak peak preview on this lesson! Use broth in braising meats, gravies, reduction sauces, soups, stews, etc. Kefir and sour cream — takes just minutes! Plan “cooking playdates” — the kids have fun, you get to socialize and get stuff done! Again, this class is on promotion for up to 65% until August 15, 2013. With over 50 tutorials, it will cost as low as 1.25 a class! Folks, I consider this class to fit into the definition of a bargain, which can be defined as something offered or acquired at a price advantageous to the buyer. See the pricing details here: http://bit.ly/12nT3wZ. I have decided to sign up myself. 2 Responses to Nutrient-dense meals from scratch in a fraction of the time. Looks like great information! Are all of these tips available in a single book somewhere?